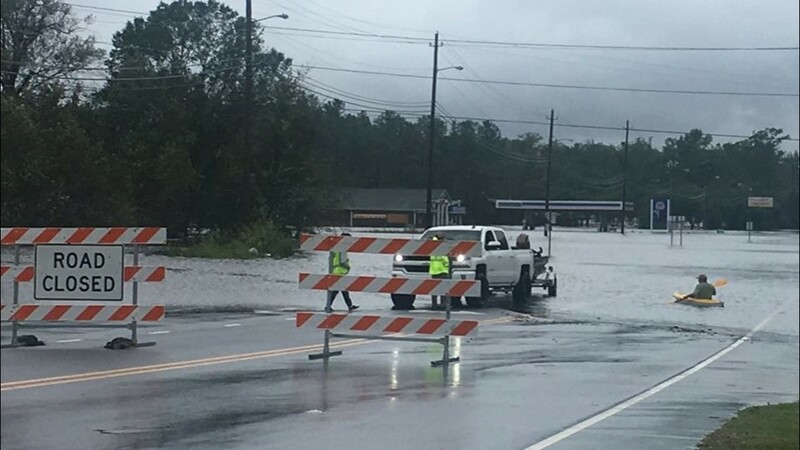 400 road closures remain across the state after flooding from Hurricane Florence. MONDAY (Sept. 25) UPDATE: I-40 has officially reopened after flooding due to Hurricane Florence. 400 road closures remain across the state. U.S. 70 is now open to eastbound and westbound traffic with reduced lanes. ALERT: U.S. 70 is now open to all traffic, with reduced lanes. You can now go east and west on the highway. SUNDAY (Sept. 24) UPDATE: I-95 is completely open again through North Carolina. 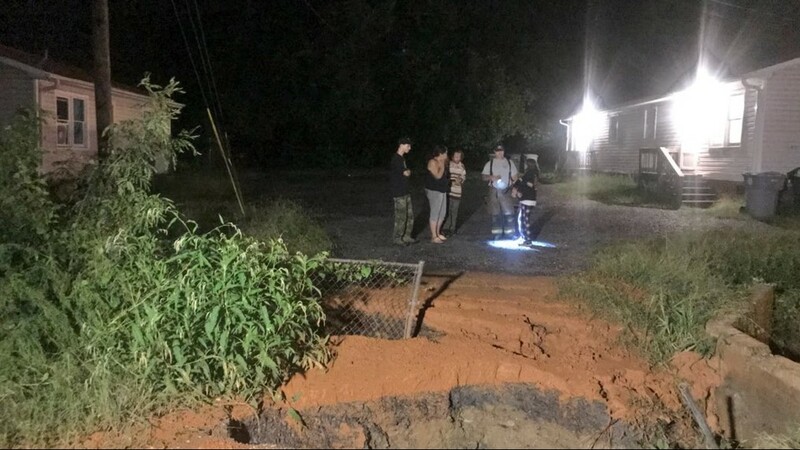 Governor Roy Cooper announced Sunday night the floodwaters that covered I-95 in the southeastern part of the state receded quicker than expected. 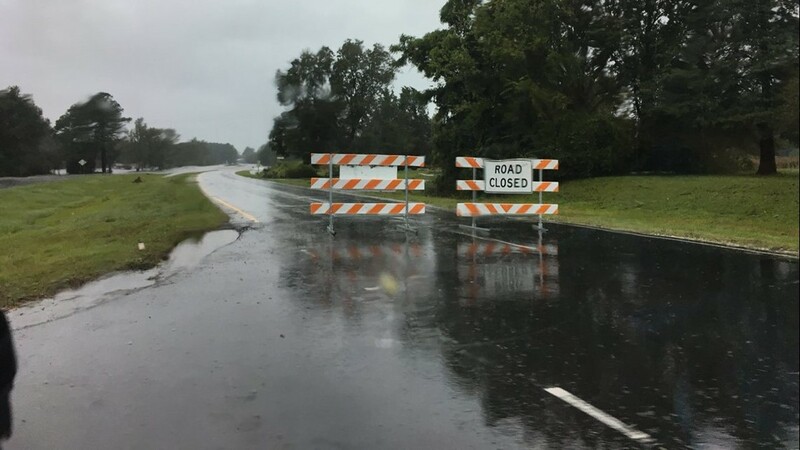 The state says there are still around 455 road closures after Florence. SATURDAY UPDATE from Governor Roy Cooper - Over 100 primary roads are closed and 519 total roads are closed statewide as of Saturday afternoon. Gov. Cooper asks to avoid driving on roads east of I-95 and south of US 70 if necessary. Clyde King Road in Seagrove was washed out by a creek running through it. WFMY News 2 photo. NC 217 in Harnett County. NC Aviation photo. 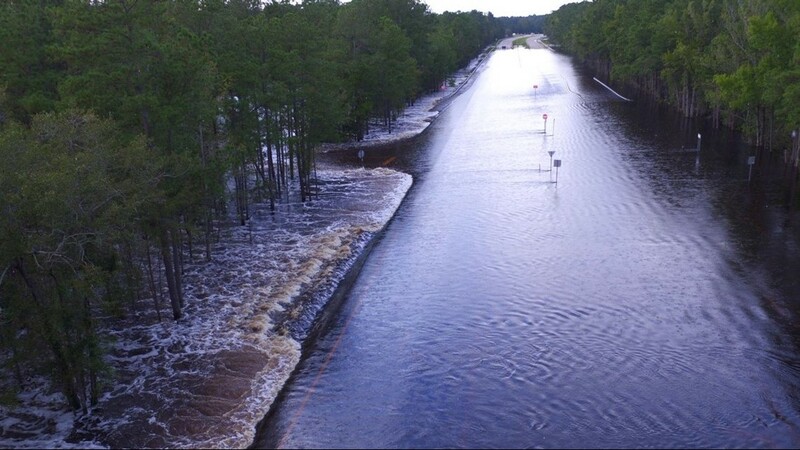 US-74 at the Lumber River in Robeson County. NC Aviation photo. 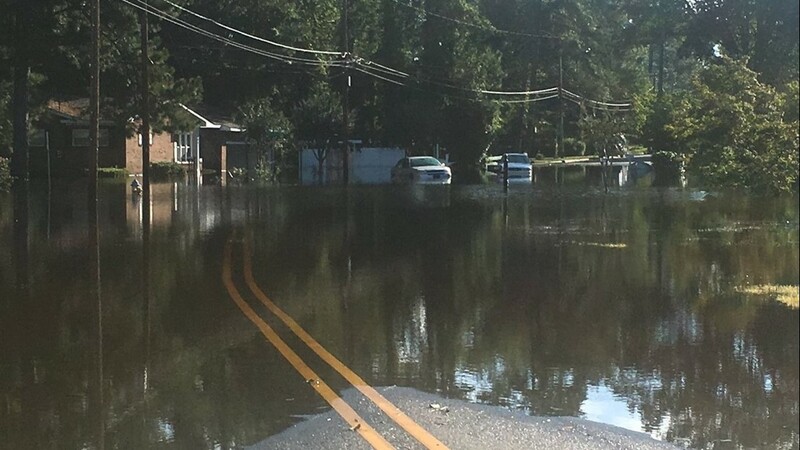 Florence caused serious flooding on many roads in eastern North Carolina this week. WFMY News 2 photo. Florence caused lots of problems on North Carolina roads this week. WFMY News 2 photo. I-95 in Lumberton was closed After Florence. WFMY News 2 photo. 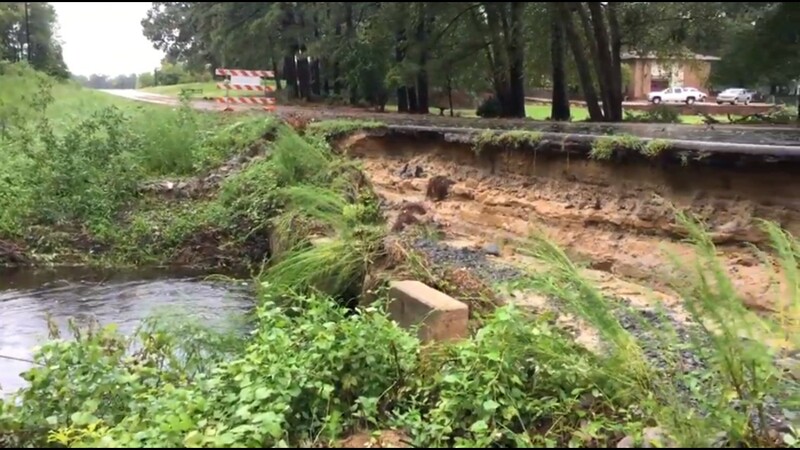 Florence caused havoc on roads in eastern North Carolina. WFMY News 2 photo. 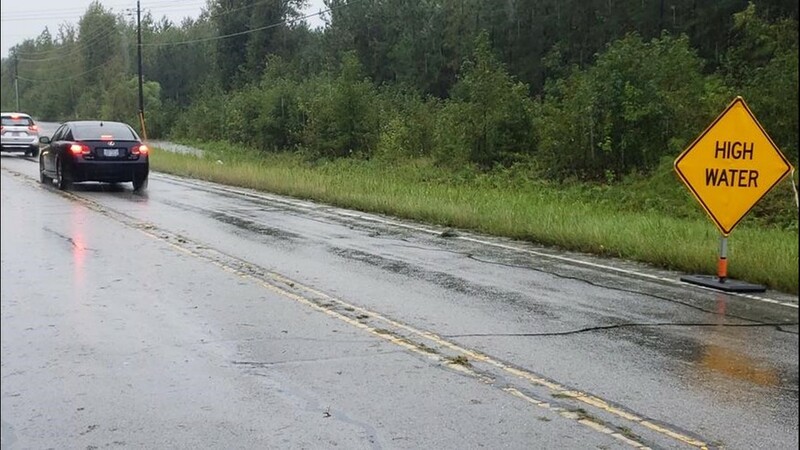 Florence caused lots of trouble on some eastern North Carolina roads this week. WFMY News 2 photo. Florence caused hundreds of road closures in the eastern part of North Carolina this week. WFMY News 2 photo. 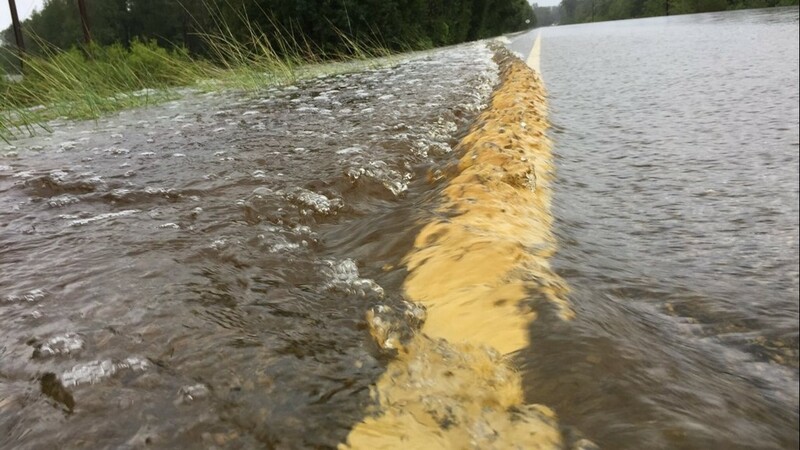 NCDOT advises drivers to avoid Bladen, Brunswick, Columbus, Duplin, Jones, Lenoir, Pender, Robeson, Sampson, Scotland, and southeastern Wayne counties. The Person Street Bridge in Fayetteville has reopened after closing on Tuesday. 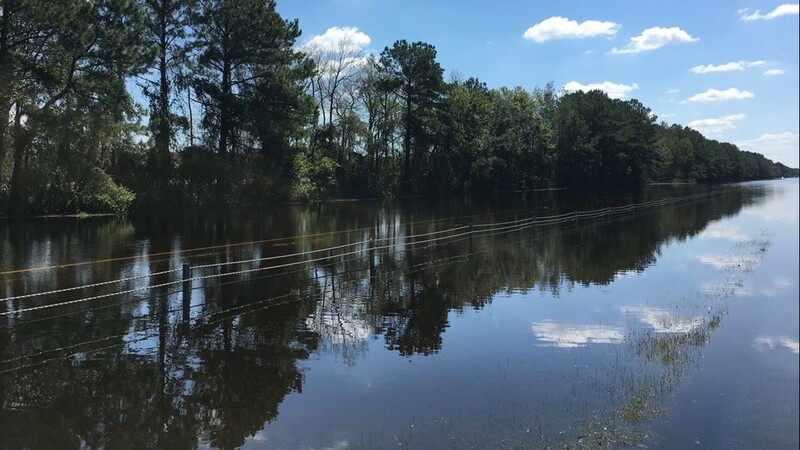 FRIDAY (September 21) UPDATE from NCDOT-- Travel remains dangerous in 17 southeastern North Carolina counties where hundreds of roads remain closed and the threat of rising floodwaters continues, according to NCDOT. 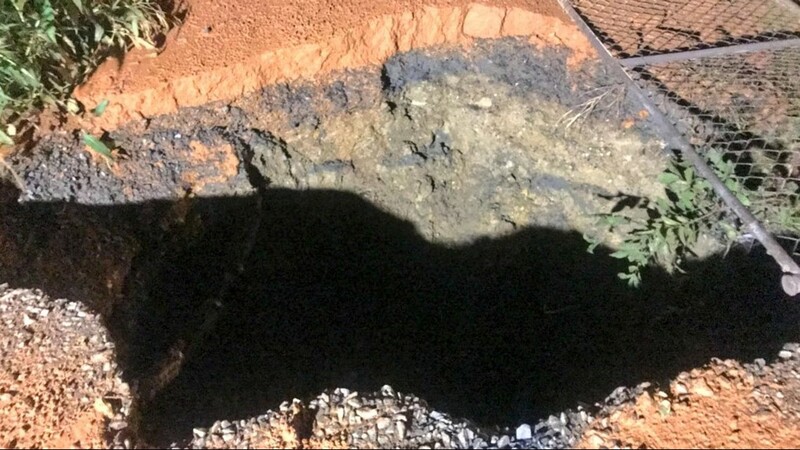 The number of closures on N.C. Department of Transportation (NCDOT) roads dropped Friday to 650 from a peak of 1,600 on Monday. Yet three major river basins – Lumber, Cape Fear and Neuse – will see floodwaters crest through this weekend and into next week. 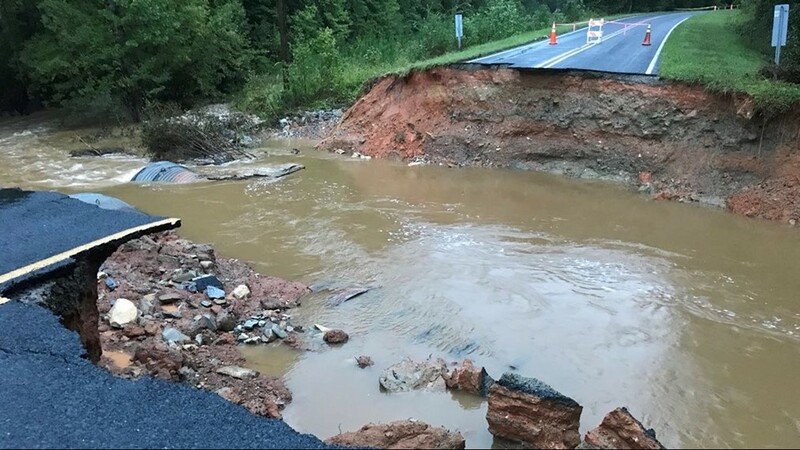 NCDOT, the Highway Patrol and emergency officials are urging motorists not to travel in the state’s 17 worst-hit counties where many roads are still under water. 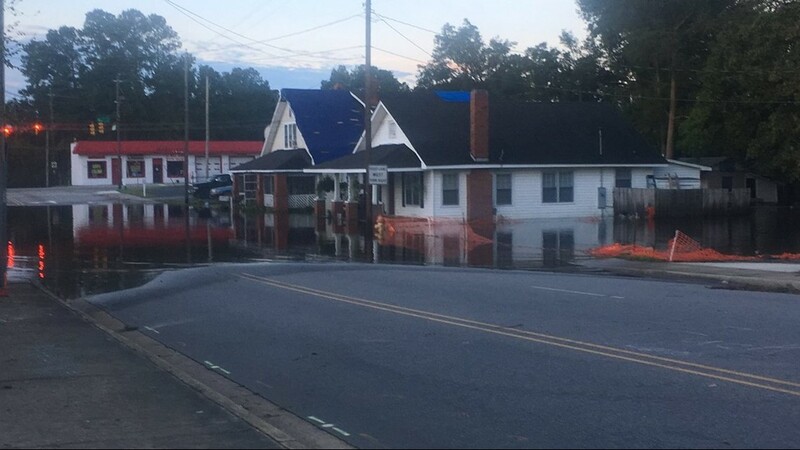 Those affected counties are: Bladen, Brunswick, Columbus, western Craven (west of U.S. 17), Cumberland, Duplin, Harnett, Hoke, southern Johnston (south of U.S. 70), Jones, Lenoir, New Hanover, Pender, Robeson, Sampson, Scotland and southern Wayne (south of U.S. 70 Business). For their safety, drivers are advised to not travel in the area south of U.S. 70 and east of U.S. 1 unless it is critical. Many navigation aids may not have updated information, especially as floodwaters rise and fall. Sections of Interstates 95 and 40 remain flooded with multiple closures. 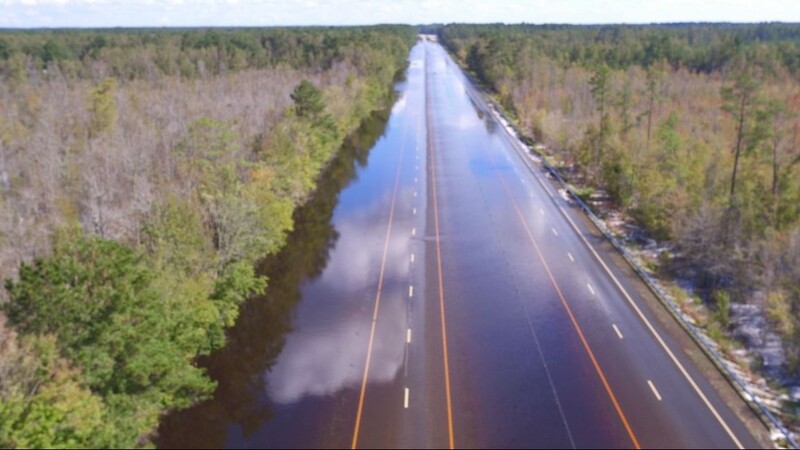 I-95 in South Carolina reopened at 4 p.m. Friday, allowing North Carolina to provide a shorter detour for people traveling through the state. Drivers from Virginia now will be directed to use U.S. 64 West (Exit 138) to I-440 West to I-40 West to U.S. 1 South to U.S. 15/501 in Aberdeen to U.S. 74 back to I-95 in Robeson County. Due to ongoing flooding, a safe, stable or reliable route for the public to get to and from Wilmington is not available. For those who must travel to other impacted areas, the following routes are the least likely to flood, but people should get the latest information on road conditions from www.DriveNC.gov. You can also use I-40 to Exit 373 and NC 24 to reach Jacksonville. 2-1-1 Call Line Open 24/7 for People in Need of Help: The statewide information line can provide callers with nearby shelter, housing and other storm-related details. Dial 2-1-1 or 888-892-1162, or text Florence to 898211. The information line is staffed around the clock to connect North Carolinians to storm resources. 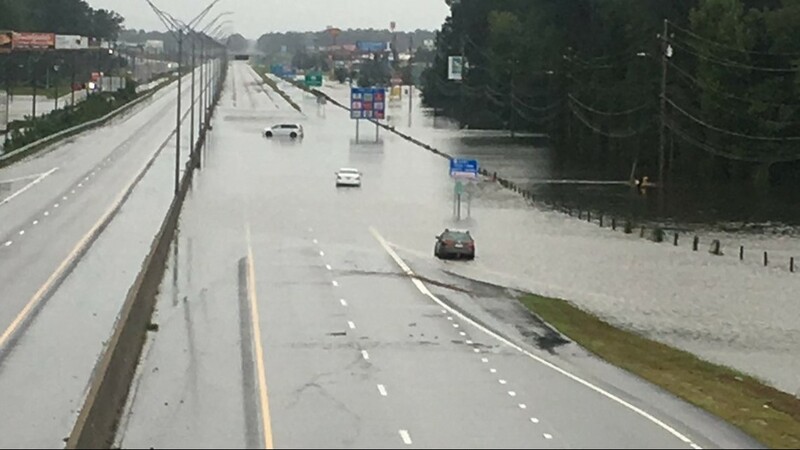 THURSDAY (September 20) UPDATE: Nearly a week after Florence hit North Carolina, the NC State Highway Patrol (NCSHP), emergency response and transportation officials are still asking drivers to not to travel in many areas in southeastern NC. 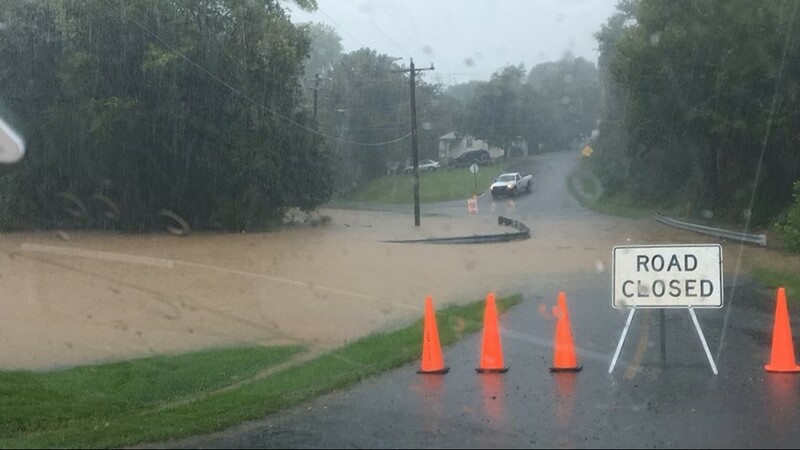 Many roads remain impassable due to flooding and road conditions are constantly changing. Travel is not recommended in the following counties: Bladen, Brunswick, Columbus, western Craven (west of U.S. 17), Cumberland, Duplin, Harnett, Hoke, southern Johnston (south of U.S. 70), Jones, Lenoir, New Hanover, Pender, Robeson, Sampson, Scotland and southern Wayne (south of U.S. 70 Business). 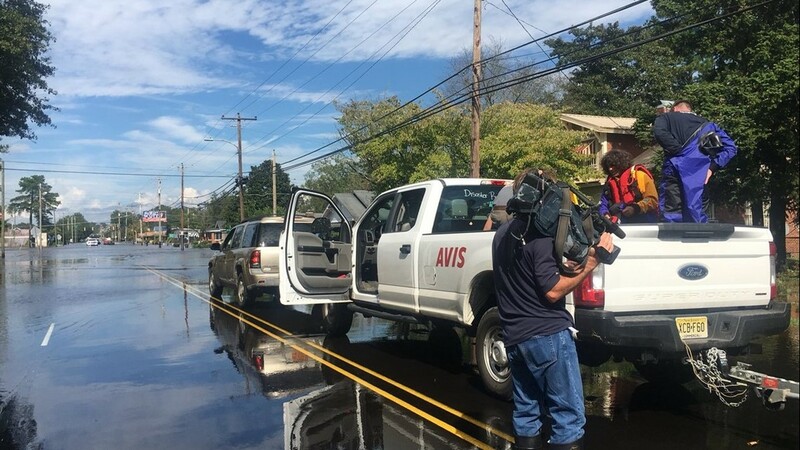 There are many roads where water levels will continue to rise making the roads impassable during the next 72 hours or more depending on when the local rivers crest. Although water is receding on some roads, those roads and bridges may be damaged and road closures are still in effect. Motorists should follow signs to avoid dangerous roads. First responders are also asking driver to avoid relying on their GPS systems. They say under normal conditions, GPS systems are reliable for navigation but are less reliable in the aftermath of a hurricane when conditions are frequently changing. Sections of Interstates 95 and 40 remain flooded with multiple closures. At this time, there is not a safe, stable or reliable route for the public to use to get to and from Wilmington. Traffic using I-95 South from Virginia should use U.S. 64 West (Exit 138) to Interstate 540 West to I-40 West to U.S. 321 South to I-85 South. Follow directions in South Carolina to re-access I-95. If you must travel, be prepared for long delays. 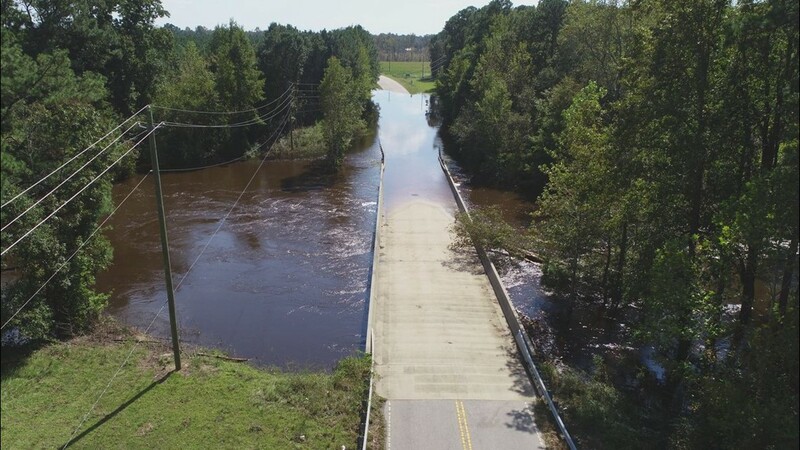 State officials said the following routes are the least likely to flood but urged people to get the latest information on travel conditions from www.DriveNC.gov. Roads that are clear at one time may not be later. Conditions continue to change and travel should be confirmed before traveling. For more information on road conditions, please visit DriveNC.Gov.